This small-group, supplementary intervention program is designed to help teachers provide powerful, daily, small-group instruction for low-achieving students in the early years including English language learners. It provides the intensive support required to help students achieve grade level competency in reading, writing and comprehension, as well as a clear framework for teachers to track and monitor achievement. The Gold System covers the levels of the Fountas & Pinnell Text Gradient = 'O' through to 'T'. 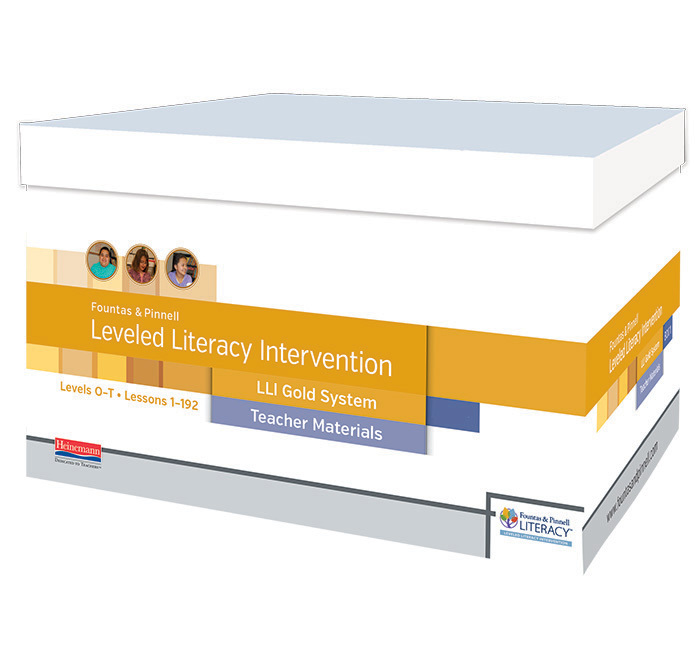 The Fountas & Pinnell Gold Leveled Literacy Intervention (LLI) System includes an folder pack for all Australian customers. * Please note, the Fountas & Pinnell Gold Leveled Literacy Intervention (LLI) System is an imported product from the US and may include marketing materials from the US inside the system box which are not available to the Australian market. An in-depth, supplementary intervention program designed to help teachers provide powerful daily small-group instruction for the lowest-achieving students in the early years. LLI is designed to be used with small groups of students who need intensive support to achieve grade-level competency in reading, writing and comprehension. English language learners can also benefit from using the LLI system.